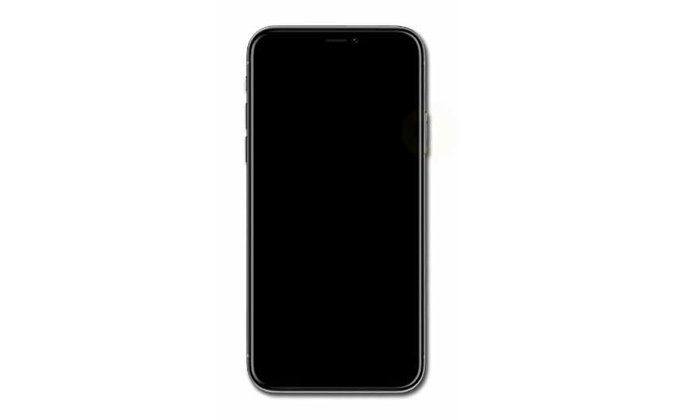 iPhone blank screen has become a very common issue; however, it tends to be a very big issue as you are just not able to access your iPhone in any possible way! Every now and then, if somebody calls you, all you can do is listen to the iPhone ring, as the screen is blank, you are not able to answer your call. Many a times, this Apple iPhone blank screen issue is the outcome of any iOS firmware update. The issue is also the outcome of the updating process of iPhone to the latest iOS 12. Why iPhone Blank Screen Not Responding? 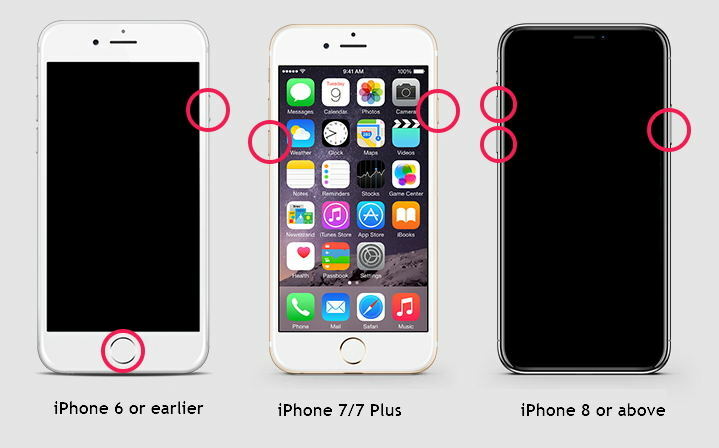 Many reasons can make you deal with iPhone 7 blank screen. One of the possible reasons can be any damage to the hardware because of inappropriate handling of device by you, dropping the device, bad screens, or even water damage. Sometimes, the issue is because of some software problem due to unplanned firmware modifications, jailbreaking, system crash, and many such reasons. In the below article, we will be discussing the best solutions for your blank iPhone issue. If your iPhone is stuck on blank screen and it is also not able to turn on, the very first step you need to take is go for a hard reset. Follow below steps to perform a hard reset. Step 1: Long press the Home button as well as the Sleep/Wake button of your device till the time Apple logo is seen. For iPhone 7, hold the Volume Down button in place of the Home button, whereas for iPhone 8/iPhone X, swiftly first press Volume Up button and after that press Volume Down button. Keep holding Sleep/Wake button till the Apple logo is seen. Step 2: Release the buttons after that and let your iPhone restart by itself. If a hard reset of your iPhone does not solve your iPhone 6 blank screen issue, restore your blank iPhone via iTunes. Follow below steps to do restore your iPhone. Step 1: Connect your blank iPhone to your PC latest version of iTunes using a USB. Step 2: iTunes will now automatically detect your iPhone. A restore option will be provided to you. Simply click the Restore option to solve your issue. Take a note that this will wipe all your iPhone data. Step 3: Once the restoring process finishes, your device will be restarted. The restoring method might end in great data loss. If you wish to solve blank page on iPhone home screen issue with no data loss, go for nest solution. Getting an iPhone fixed with a blank screen is very easy with Any iOS System Repair . The tool has Repair Operating System feature integrated within it that helps to fix iPod touch, iPhone, as well as iPad stuck on black screen, white screen, stuck in recovery mode, Apple logo, blank screen, and so on. The software also has a very simple-to-use interface which aids in repairing the faulty iPhone in no time. Step 1: Install and run the tool on your PC. Now simply connect your blank iPhone to the PC. Of all the options provided to you the main screen, choose Repair Operating System. Step 2: The mandatory thing for further process is the latest firmware package. Therefore, download the latest firmware package via the option Download. Step 3: Finally tap the "Start Repair" option. All your problems along with blank iPhone will be solved once the recovery process is over. The above article has shown various ways to solve dropped iPhone blank screen problem with efficiency as well as with easy. Hopefully, you must have solved your problem with the above-discussed solutions. On the other hand, Any iOS System Repair (ReiBoot) is highly recommended as it is the best tool available in the market with outstanding feature to solve any type of iOS problem along with the one you are dealing right now. The tool will help you solve your issue in no time. Let us know which of the above solutions helped you and was best for you. Also, if you have any other solution than the ones discussed above, feel free to share them with us in below comments.